Brian Priestley is the co-author of The Rough Guide to Jazz, now in its fourth edition, and the biographer of Charles Mingus and John Coltrane. He is a jazz pianist of note, specialising in the Ellingtonian repertoire, and has several CDs to his name. He is also a critic and reviewer for numerous magazines including Jazzwise, and a regular broadcaster on BBC Radio 3. In his short life, Parker was one of the most influential musicians in jazz, and together with Dizzy Gillespie, Bud Powell and Thelonious Monk, he was the main architect of the modern jazz revolution of the 1940s known as bebop. Addicted to drugs and alcohol, and with a tangled private life, Parker died young, and a legend grew up about his tragic genius. Chasin’ the Bird is a completely revised and expanded edition of the short biography of Charlie Parker by Brian Priestley first published in 1984 which quickly established itself as the most succinct, accurate and readable book on Parker. This edition, which is twice the length of the original, incorporates material which has come to light since the first edition was published. It also provides an expanded discussion of performances and recordings, with a complete discography, notes and bibliography. PAPERBACK PUBLISHED JUNE 2007 In his short life, Parker was one of the most influential musicians in jazz, and together with Dizzy Gillespie, Bud Powell and Thelonious Monk, he was the main architect of the modern jazz revolution of the 1940s known as bebop. Addicted to drugs and alcohol, and with a tangled private life, Parker died young, and a legend grew up about his tragic genius. Chasin’ the Bird is a completely revised and expanded edition of the short biography of Charlie Parker by Brian Priestley first published in 1984 which quickly established itself as the most succinct, accurate and readable book on Parker. This edition, which is twice the length of the original, incorporates material which has come to light since the first edition was published. It also provides an expanded discussion of performances and recordings, with a complete discography, notes and bibliography. Like the great majority of people who will read this book, I rst became aware of Charlie Parker after his death. In my case, it was through his death that I gained my rst awareness of his name. As a comparative novice, I had no idea of the connotations of either word in the title Cool Blues. But the sound of the record on the radio, and the surprising information that its creator had died at the age of thirty-four, made enough of an impact to outweigh my lack of understanding. Naturally, although the memory of that rst hearing is still strong, any such encounter depends on the listener’s previous listening (and reading), and it was an awfully long time before I was really able to appreciate Parker’s importance as one of the most signicant jazzmen ever. Family background and early life from birth in Kansas City, August 29, 1920, to his teenage years. By 15 he was married, working professionally and using drugs. First commercial recordings, playing with Dizzy Gillespie, touring, work with the Hines band, second marriage. Chapter begins at the end of 1943 with Parker’s drug use inhibiting his working life as he tours during the war years. Long term gigs in New York and significant reviews and recordings combined with upheavals on the domestic side culminating with his being committed to the California state mental hospital at Camarillo in 1946. When Charlie emerged from Camarillo at the end of January 1947, he was in good health for the rst time in ten years. After the rehabilitation effected by regular meals and an absence of drugs and alcohol (and thecure of a bout of syphilis), he had decided to treat his enforced stay as a welcome rest from the pressures of following his chosen profession. Bebop is on the ascendency and Charlie Charlie sets about assembling the quintet which was to be his regular working group for the next few years. To the essential ingredient of Max Roach on drums, he added Miles Davis and bassist Tommy Potter. Continues to make guest appearances outside of the quintet but he also become notorious as a heroin user. Nevertheless, it was at this period that Charlie made what are not only his nest studio recordings but some of the greatest in the history of jazz. Successful trip to Paris, recordings under Norman Granz, for Mercury Records including a solo album and significant interview with Down Beat. . Opening of Birdland and more all-star recording sessions. Family and drub-related problems. West Coast engagements, financial and domestic disruptions including death of his daughter, and suicide attempt leading up to this death from pneumonia at the age of 3 on March 12 1955. An assessment of the Parker style virtually ignoring its later inuence but not its antecedents. 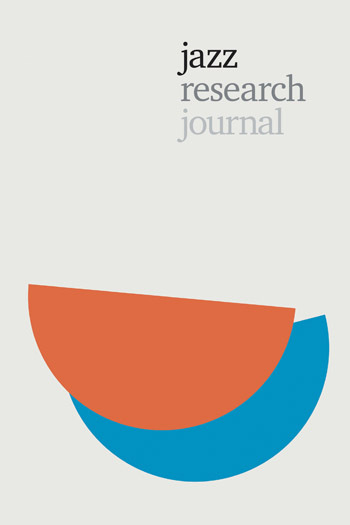 The aim is to evaluate it in terms of such major areas of expression as tone qualities, rhythmic values, harmonic language, melodic sensibility and compositional considerations, and to do so through the tangible evidence of a limited number of examples drawn from the many studio and live recordings that have been made publicly available (so far). The mythology of Charlie Parker was already growing during his lifetime and it is hardly surprising that, given the combination of his musical abilities and his often scandalous behaviour, he attracted particular interest. In the hours and days after his death, the groundwork was laid for him to become an equally extraordinary gure posthumously. Within the year, there was evidence of the beginnings of a serious appraisal of his music. Metronome magazine’s Jazz 1956 yearbook included a Parker history by Bill Coss and a transcription and commentary by clarinettist Tony Scott, and the same year saw the English-language publication of André Hodeir’s essay (written before Charlie’s death) in his book Jazz: Its Evolution and Essence. There was even interest on the part of television in the late 1950s, with a documentary by CBS-TV entitled The Mythical Bird on their Sunday morning slot Camera Three. And, by 1957, it was possible for writer Orrin Keepnews to talk of no fewer than four forthcoming books about Charlie. Also in the late 1950s, the record industry started to reap the rewards which had not always been forthcoming during Charlie’s lifetime. The chapter goes on to document the artists’s evolving legacy and influence up to the present day. This listing is intended to include everything that has ever been made available publicly of Parker’s playing. There is still material, mostly fragmentary, from sessions that are known to exist and have not been released, and these are not included. Only the original issue number is shown and, in the case of studio sessions, this is usually a 78 rpm single. Material first released on vinyl, sometimes from those same sessions, has the issue number in italic, while material first released on CD has the number in bold. The figures and letters shown in brackets before the issue number refer the reader to the index of recent reissues at the end of this listing. For reasons of space, if a batch of titles was released together for the first time on LP or CD, they are separated by “/” but, if a single performance contains a medley of two or more themes, the individual tunes are separated by “;” Alternative titles for a single performance are usually shown in brackets after the correct title (if the new title has been used, deliberately or in error, for a subsequent release). Brian Priestley has not just chased but captured the elusive Bird, illuminating the turbulent life and marvelous music with human and musical insight. Brian Priestley is one of the most accomplished jazz historians, critics, and biographers, and Chasin’ the Bird is an indispensable gem – an ideal introduction to a major figure in 20th century music and an inventive interpretation of Parker’s life and art that will also engage veteran jazz lovers. The comprehensive discography is a major bonus, making this a handbook every Bird chaser will relish. An absorbing and serious-minded biography. 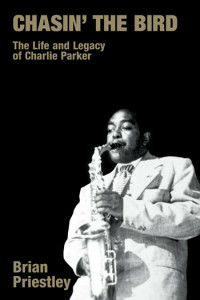 Brian Priestley’s Chasin’ the Bird: The Life and Legacy of Charlie Parker serves as the best overall book on Parker since Gary Giddens’ photo-driven Celebrating Bird. 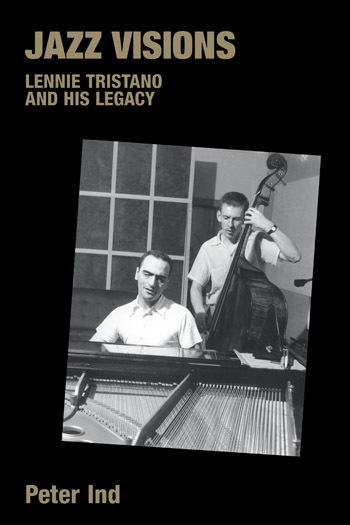 Priestley’s revised and updated biography… offers valuable insights to Bird’s career, mainly because it is seen through the prism of his music… This volume makes a valuable contribution to jazz literature… A useful addition to the Parker library. Even if you’ve read other books on Parker, you’ll gain some fresh perspective from this one. And if you’ve never read a book on Parker, you’d be well-advised to make this the first. Though Priestley is clearly a fan, he writes about the good in a clear-headed way and writes about the bad unflinchingly. Easily enjoyed in a single sitting, with your favorite Parker record… Well served by the breadth of Priestley’s musical knowledge and his tenacious desire for accuracy. Priestley is thorough, accurate and backs up the information faithfully. As a valuable reference and an enjoyable read, Priestley’s book stands out as an essential item for all of us.